The Muzaffarnagar riots of 2013 gave rise to communal polarisation, and the old societal bonds that existed between Jats and Muslims in western Uttar Pradesh were broken. Consequently, in the 2014 Lok Sabha elections, Jats flocked to the Bharatiya Janata Party's (BJP) fold. But since then, the community has witnessed how the BJP government in neighbouring Haryana dealt with their pro-reservation protests with an iron fist. Then came demonetisation, and the Jats - mostly agriculturists - were hard hit. 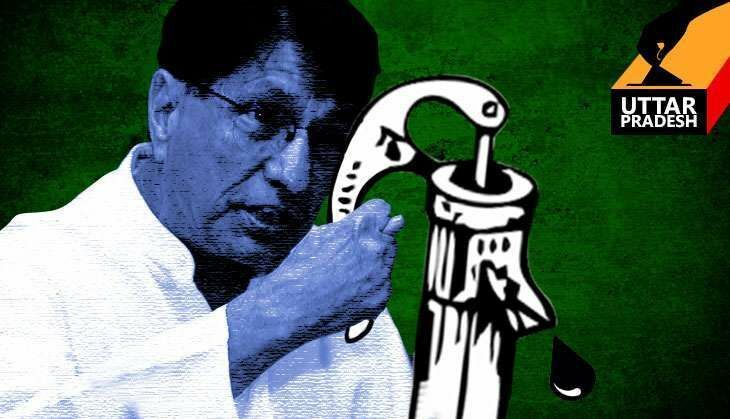 In the meantime, Ajit Singh's Rashtriya Lok Dal, which had flourished in western UP thanks to the old Jat-Muslim combination, lost a lot of ground. So much so, that in the run-up to the Assembly elections, Singh knocked on many doors for an alliance, but was turned away each time. The Samajwadi Party and the Congress allied together, but refused to include the RLD, as they didn't want to cede too many seats to a party that had a singular core constituency - the Jats. Singh then reportedly got in touch with the BJP as well. But even there, it was turned away for being inconsequential - the BJP asked the RLD to merge with it. But now, the tide is turning. The only wave visible here is a Jat wave - in favour of the RLD. The RLD contesting the polls alone has changed the narrative of communal polarisation, at least among the Jats. A combination of all the factors listed above has ensured that a large section of Jat voters in the RLD's bastions of Baghpat, Shamli and Muzaffarnagar and neighbouring districts are now taking the polls rather personally. It has become a battle to save their identity, and that of the party which they consider their own. "This time Jats are voting for Ajit Singh, for they think his respect is at stake," says Dr Lokendra Baliyan from Shahpur town in Muzaffarnagar. "Jats have become emotional in these polls," accepts Dhoom Singh, a BJP functionary in Baraut. The situation on the ground is such that the mere mention of the BJP evokes angry responses. "What has the BJP done for us?" they ask. "Modi ke bhagya me raj yog tha, isliye vo jeet gaya (Modi had raj yog in his destiny - that is why he won the last time)," says Devraj, in the Bawli village of Baraut. With the RLD in a serious contest on many seats, this may cost both the BJP and the SP-Congress alliance a few seats in the forthcoming polls. "Had the BJP gone in for an alliance with the RLD, it would have swept the polls. And the RLD would have been forced to play by the BJP playbook of polarisation. The RLD going it alone has turned the situation upside down," says a former minister of the Haryana state government, who was in Muzaffarnagar to campaign. The RLD lost out in 2014 because the polarisation between Jats and Muslims put it in a tight spot. The fact that it did not aggressively side with the Jats meant that its vote-share in the 2014 general elections came down from 18 lakh (in 2012) to less than seven lakh. "Had Ajit Singh taken even an aerial tour of the riot-affected areas in 2013 in a helicopter, the Jats would not have deserted him for the BJP in 2014," says Dr Baliyan. But this time, RLD general secretary and Ajit Singh's son Jayant Chaudhary has hit the streets with an Ekta Yatra to counter the communal polarisation. He has also held Kisan Adhikar rallies, to demand relief for the farmers after demonetisation, which came at the time of Rabi crop sowing season. The RLD has gone full tilt to ensure it can once again stitch together a Jat-Muslim combination to defeat the BJP, which it claims was behind the Muzaffarnagar riots. "We have been going from village to village, trying to tell the Muslims that voting together would work for the benefit of both the communities," says an RLD functionary in the Baraut constituency. "They didn't vote for us the last time. Not one Muslim MP could get elected to the Lok Sabha while more than 20 Jats are in the Lower House." The RLD's message has found resonance among the voters of the region. "The BJP won riding on the communal polarisation after the riots in 2013. They are still out to communalise and ensure Muslims and Jats do not vote together. But we have figured out their game," says Sudheer Kumar, who had come to drop off sugarcane at the Chhaprauli Sugar Mill. Bawli's Devraj adds: "None of the politicians who face charges in the riots are Jats." He cites the examples of BJP's Sangeet Som and Suresh Rana, both of whom are from the Thakur community. Chandra Pal, from Mohammadpur village in Budhana constituency of Muzaffarnagar adds: "We were told by the BJP leaders that they will help the Jat youth who are in jail on charges of rioting. But we have been left to fend for ourselves." In two different constituencies this reporter visited, the RLD's efforts seemed to be bearing fruit. In Baraut, a large section of Muslims said they were supporting the RLD's Jat candidate, while in Shamli's Thana Bhawan, Jats said they were supporting the RLD's Muslim candidate against the BJP's controversial Suresh Rana. Devraj from Bawli feels the PM himself has turned against the Jat community. "Modi has time to tweet on the smallest of issues. But he did not have the time to pay respects to Chaudhary Charan Singh (Ajit Singh's father and former Prime Minister of India) on his death anniversary," he points out, adding that there was no Jat regiment in the Republic Day parade either. Vinod Tomar, a farmer in Baraut, adds: "There is only one Jat minister in the Union Cabinet, Sanjeev Baliyan. They took away the important agriculture ministry from him and put him in water resources." However, it's not just emotive issues that are taking the Jats away from the BJP fold. "Like Manmohan Singh, Modi should have waived off our loans," says Harveer Singh, in Bhedoh village in Thana Bhawan constituency of Shamli. "They are deducting crop insurance premium every year when sugarcane does not require any insurance." Naresh Pal, from the same village, explains how the interest waiver on loans, too, hadn't had any impact. "Firstly, we don't have credit cards from the cooperative banks. Second, even if we had them, it would have only amounted to Rs 200 or Rs 300." Harveer adds: "Had Modi not tinkered with the Jat reservation and not announced demonetisation, BJP would have won hands down. Deepak Tandon, who runs a store selling agricultural tools, seeds and pesticides in Muzaffarnagar, says: "The farmers had a tough time after demonetisation and did not have money to buy seeds, fertilisers and so on." While a large section of the Jats are returning to the RLD fold, another section, comprising mostly of youth, is still in the BJP camp. "The SP government only compensated the Muslims," says Sandeep Singh in Garhi Pukhta village of Thana Bhawan constituency. "No party does anything. Modi at least talks of the betterment of Hindus." Ajay Pal Singh, who runs a hardware store in Baghpat town, adds: "Modi is an honest politician. He is working for the country. "Ajit Singh and Nawab Kaukab Hamid (the former MLA) have been the only misfortune of this city," he says, pointing to the highway, which is in bad shape. "The young Jats and the women may say under pressure that they are not with the BJP, but on the day of elections, they will vote for it," he claims. The RLD, too, has realised this, and has been holding meetings in villages to convince the 'misled youth' to come back. Catch attended one such meeting in Bawli village, which had members from all communities, where the speakers talked about the need to vote together. The RLD functionary admits that other castes like the Kashyaps and Dalits are not enamoured by the RLD. But he says: "Jats are the dominant community in at least 38 villages in Baraut constituency alone. This will help us in influencing other communities." Many lower caste groups, like the Jatavs, are now going back to the Bahujan Samaj Party after voting for the BJP in 2014. "We were taken in by the communal rhetoric then. After the Qawal incident (which led to Muzaffarnagar riots), we thought the government was only favouring the Muslims. This time, there is no such confusion," Mahendra Singh, from the Jatav community in Baghpat's Kaantha village in Baghpat. BSP has fielded Ahmad Hamid, a Muslim, from the constituency. "So what if he is Muslim? BSP is our party," Mahendra says. BSP supremo Mayawati, too, in her bid to woo the Muslim voters, has been attacking both the BJP and the SP for their politics of communalisation. They have other reasons too, to not vote for the BJP. Pankaj, a student from Kaantha village, believes that "if the BJP comes to power, they will abolish reservation." At the Harijan Chaupal in Bawli village, several members of the Jatav community are unhappy with the BJP over demonetisation. "Several hundred people have lost their jobs in Tronica city alone," says Mahipal, adding that when big industrialists did not have the money, how were they going to retain the workforce? Tronica city is an industrial hub close to Baghpat. However, one thing is rather clear - neither the Jats, nor the lower castes want to have anything to do with the SP-Congress alliance. They complain about how the SP government is biased towards the minorities. "All the scholarships, laptops and cycles go to Muslims. We are left high and dry. Only Mayawati can work for our interests," says Rajkumar, a student.